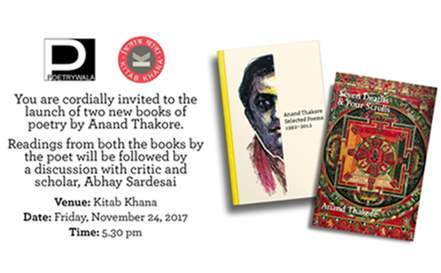 Welcome to KitabKhana - With an abundance of books focused not only on best-sellers but also on those that will be instrumental in satiating and enriching your flair for reading, KitabKhana is a book lover's delight. We have an exclusive team of bibliophiles that understands your expectations as a reader. Constantly striving to ensure that every book you find on the shelf is hand-picked and well-curated, our team believes in leading a personal touch to your book discovering experience.if you're a connoisseur of regional literature, KitabKhana's vast range of Hindi, Gujarati and Marathi books is bound to take you by surprise. 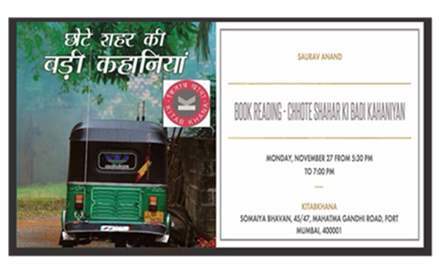 Book Reading Chhote Shahar ki Badi kahaniyan by Saurav Anand. © 2013 KitabKhana is a Division of Somaiya Agencies Pvt. Ltd.